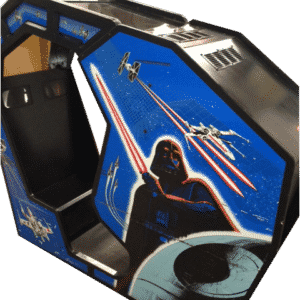 Arcade Direct has access to Europe’s largest collection of Star Wars Arcade Machines so if you don’t see the machine you want on our website, please do contact us as we may have access to that machine! 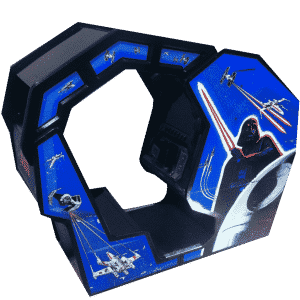 From Star Wars Episode 1 Pinball Machines to Star Wars X-Wing Sit Down Arcade Machines, we have a machine to suit your requirements. 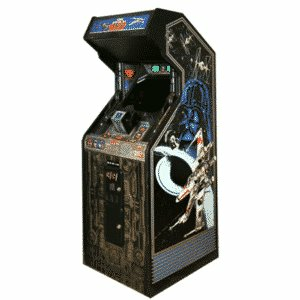 All Star Wars Arcade Machines are for sale and for hire. 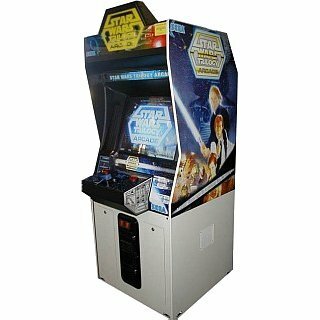 If you’re interested in renting one of our Star Wars arcade games, check out our Arcade Machine Hire. 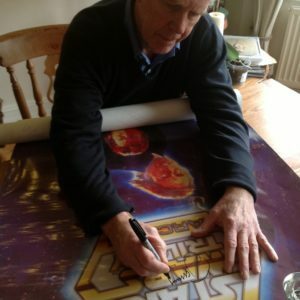 Are you a big fan of the Star Wars movies? 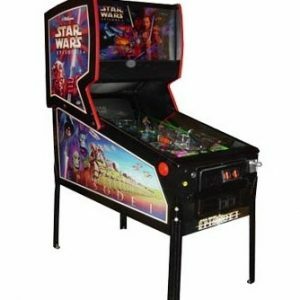 Then you are going to love some of the Star Wars Arcade games that we have on offer at Arcade Direct! It doesn’t matter what age you are, everyone will enjoy playing exciting and fun games with the Star Wars theme, with some of the characters and scenarios from the movies. 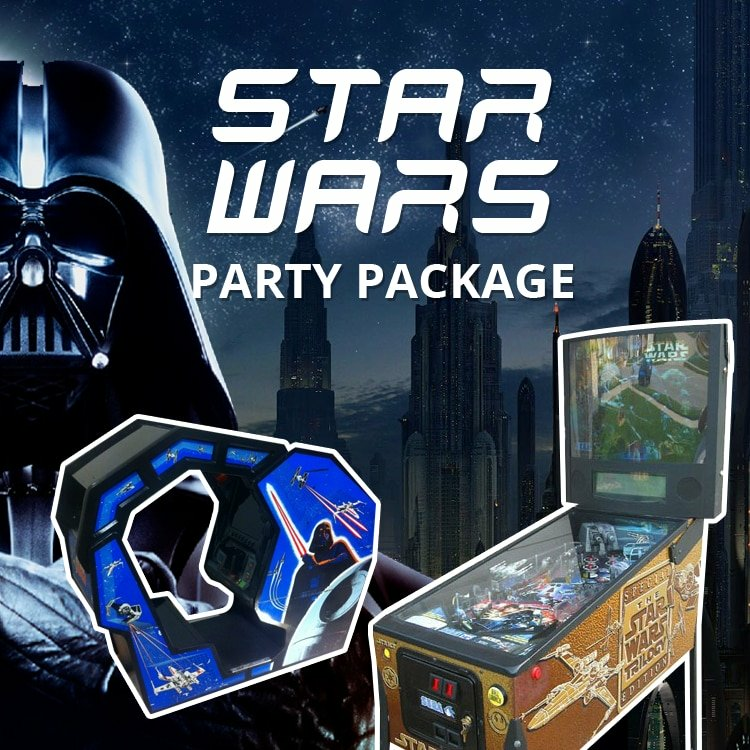 So, if you are looking to hire entertainment for your latest event or even want to purchase an arcade machine for your home, you have got to check out the Star Wars arcade games that we have! 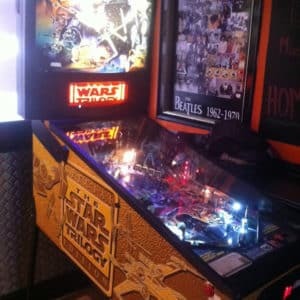 If you like pinball then you will love the Star Wars Episode 1 Pinball Machine. 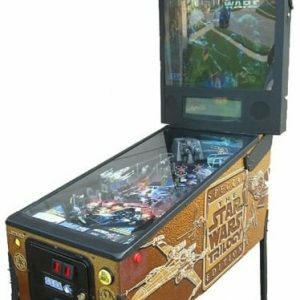 This pinball machine will take pride of place in any room and it features the best of Pinball 2000 technology, as well as real sounds and videos from the movie for the best gameplay ever. This game was designed in 1999 and it has been popular ever since it was released. It is based on the Phantom Menace Star Wars movie, with the aim of the game to become a Jedi Spirit. You will be fighting Darth Maul and there are various levels that you will need to complete. So, are you up for the challenge? 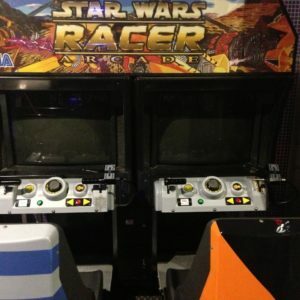 For a multiplayer competition, have a look at the Star Wars Racer Arcade Machine. This is a fantastic game that lets you and a friend become Podracer pilots with the handheld throttle controls. The game was created in 2000 and it replicates the Podrace scenes that feature in Star Wars: Episode I – the Phantom Menace. You can choose to play one of four pilots, which includes Ben Quadinaros, Anakin Skywalker, Sebulba and Gasgano. If you are having a special event, this is going to be great entertainment for guests and keep them amused all night long! 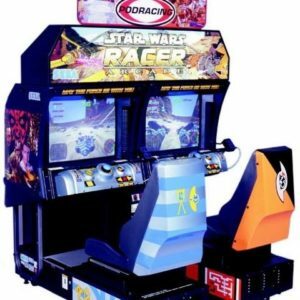 To play Luke Skywalker, you have got to choose the Star Wars X-Wing Sit Down Arcade Machine. This is a fantastic addition to any party or event and it is sure to bring the fun. You can take on the role of an X-wing fighter and feel like you are actually a pilot as you sit in the booth. It is your job to blast away TIE fighters and you can enjoy all of the sounds and effects that you recognise from the movie. It is a first-person perspective game, which adds realistic features to the game and there is no better way to entertain guests at any occasion. 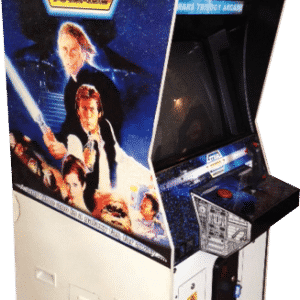 If you like retro games then you will love the Stars Wars Trilogy Arcade Machine! This is a classic game that you can still enjoy today, being popular ever since it was released back in 1998. It is a 3D rail shooter game, which is based around the stories of the original trilogy of Star Wars movies. This means that you can fight against Darth Vader and Boba Fett using the joystick and pressing the fire button to shoot. So, make sure you join in the action! 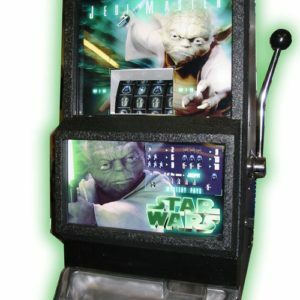 For guests that love fruit machines, check out the Star Wars Jedi Master One Arm Bandit. 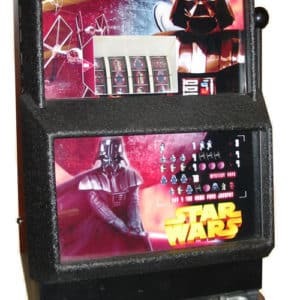 Of course, this is more than just a traditional fruit machine and it enjoys an amazing Star Wars theme that will capture everyone’s attention. It has the Jedi Master, Yoda, on the front with his light saber. This machine takes coins and there is the perfect opportunity to win. May the force be with you! 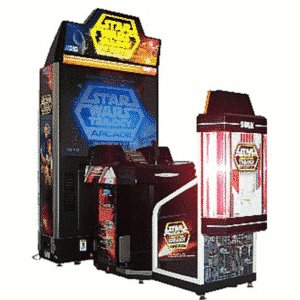 At Arcade Direct, we have a range of fantastic Star Wars arcade games that you are going to love. Whether you are throwing a party or hosting an event, these machines will bring the fun and games to the evening. In addition, you can purchase these machines for your home too so that you can enjoy them anytime!